Decorated initial containg the apostles. Peter holds the key, and Paul the sword. Gradual, in Latin. 15th-century manuscript on vellum, written in Italy. Bound in original wooden boards and brown leather. 3 miniatures. 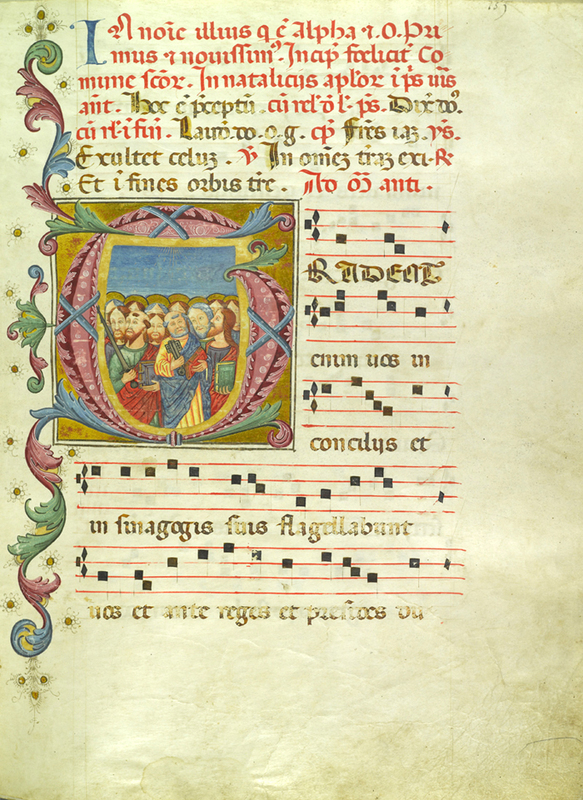 Antiphons and graduals are the chant books of the Roman rite. 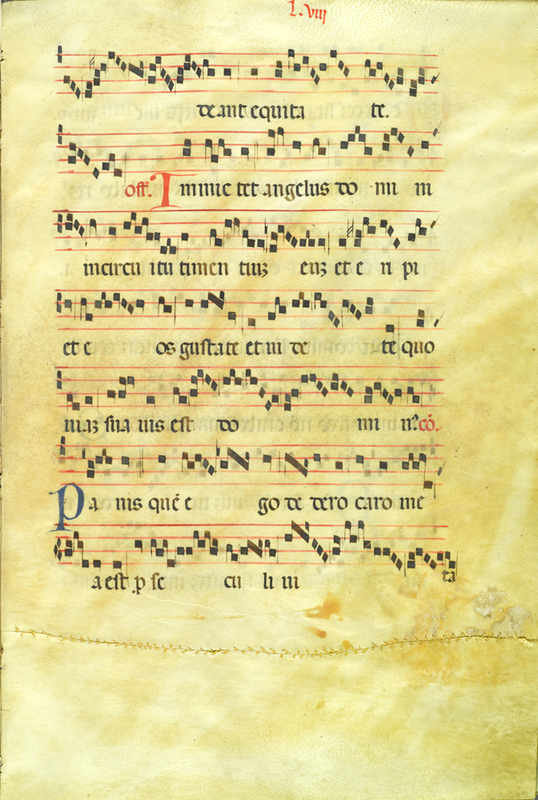 Antiphons are used in chanting the holy office, containing the minor hours, Lauds, Vespers and Compline. Graduals are used in the mass and contain both propers and ordinaries. Both contain musical notation that would be read by more than one person at the same time, which accounts for their large size and clearly legible script.